Screenshot/Twitter/Hatice CengizJamal Khashoggi was killed in the Saudi consulate in Istanbul on October 2. Saudi Crown Prince Mohammed bin Salman reportedly told White House adviser Jared Kushner and National Security Adviser John Bolton that Jamal Khashoggi was a “dangerous Islamist” on a phone call just days after the Saudi journalist went missing. Those who knew Khashoggi, including his family and former colleagues, have completely rejected the notion he had ties to extremism. 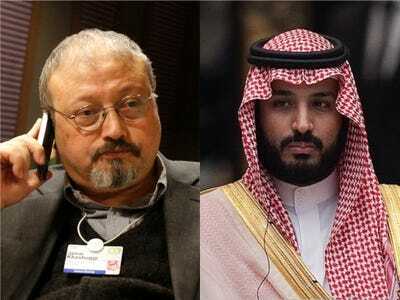 The crown prince is widely suspected of orchestrating Khashoggi’s killing. The call occurred before Saudi Arabia acknowledged that Khashoggi was killed in their Istanbul consulate, The Washington Post reported. The crown prince reportedly told Kushner and Bolton that Khashoggi was a member of the Muslim Brotherhood. Khashoggi disappeared after entering the Saudi consulate on October 2. In the days that followed, some US conservatives attempted to label him an extremist due to an interview he conducted with late Al Qaeda head Osama bin Laden early in his career as well as his expressed sympathies for political Islam. But those who knew Khashoggi, including his family and former colleagues, have completely rejected the notion he had ties to extremism. If Prince Mohammed did describe Khashoggi as a “dangerous Islamist” to President Donald Trump’s advisers, it would contradict recent public remarks he’s made about the slain journalist. At a panel last week, for example, the crown prince said Khashoggi’s death was “very painful” for the kingdom. 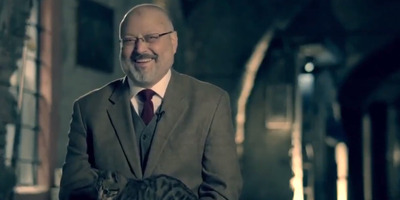 Khashoggi was a prominent Saudi journalist and previously served as an adviser to the royal family. But he went into self-imposed exile last year after the royal family barred him from writing. Khashoggi was often critical of the government, and he was deeply disconcerted by tactics Prince Mohammed employed in an effort to consolidate power. After leaving his native country, Khashoggi became a columnist at The Washington Post and a US resident. The Saudi government’s narrative on what happened to Khashoggi has shifted multiple times and the incident has placed an uncomfortable spotlight on the kingdom, especially in terms of its dubious record on human rights.